OLD PARKED CARS. 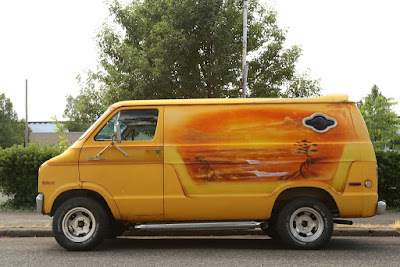 : 1977 Dodge Tradesman 200 Select Vans Surfer 108. 1977 Dodge Tradesman 200 Select Vans Surfer 108. 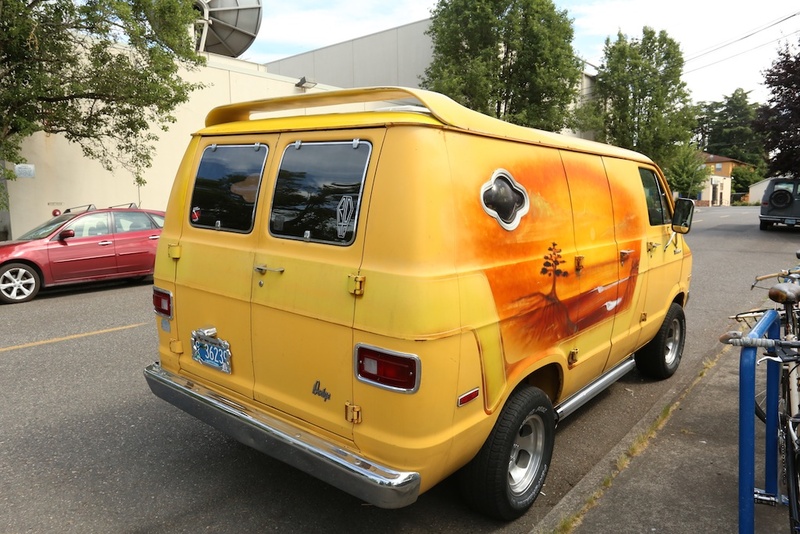 It may be dated, but that van is gorgeous. Btw, who was "Select Vans", a factory customizer? sweet! always love seeing a good custom van roaming the streets. should have got some shots of the interior if possible, I bet there's some shag in there. 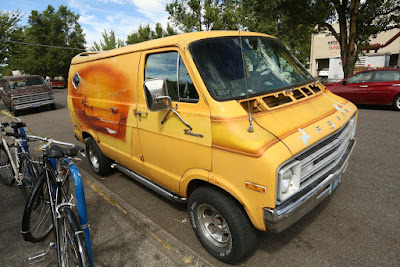 The perfect vehicle to blast Fu Manchu in. 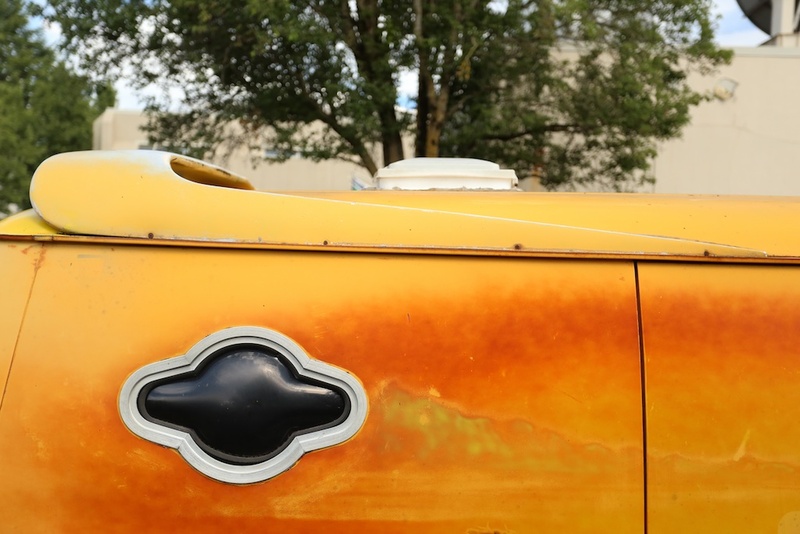 The paint job, slotted mags, sidepipes....best of 2015 material, hands down. The side window looks like Kermit the Frog's eye. I'd rock this all day, every day. Did it have a killer bamboo and shag interior treatment? I want a robin's egg blue Econoline-based, Laserblast-themed van with "THE ACTION IS GO" cover art incorporated into the mural. A rack for my decks on the inside of the door, console TV retrofitted with a flat panel and some choice vintage gaming consoles hidden away inside. That or a gold one with a Sandcrawler theme. 1970's perfection, in a nutshell. Crank up the 8-track and lets hit the road! 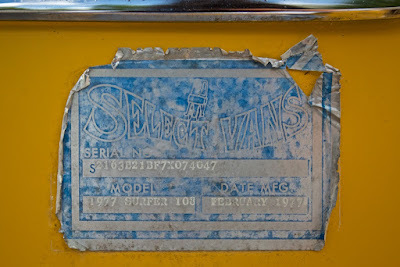 I remember back in the 70s Select Vans had a small lot on Beach Blvd for several years. I would ride by on my Schwinn bicycle on the way to the beach and dream about having one. They would sell brand new vans that they customized, Chevy, Dodge Tradesman, and Ford. Those were the days.